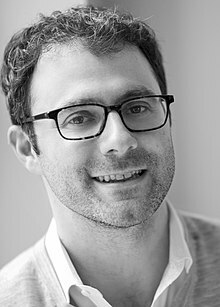 Marc Margolies Mezvinsky (born December 10, 1977) is an American investor and former vice chairman at Social Capital. He is the husband of Chelsea Clinton, daughter of former U.S. Secretary of State Hillary Clinton and former President Bill Clinton. Mezvinsky was born in Philadelphia, Pennsylvania, and grew up attending a Conservative Jewish synagogue and Friends' Central School, a Quaker school outside of Philadelphia. His parents are both former Democratic members of the U.S. House of Representatives. His father is Edward Mezvinsky (b. 1937) and his mother is Marjorie Margolies (b. 1942). Mezvinsky has 10 brothers and sisters, including five adopted siblings. In 1970, his mother was the first single American woman to adopt a foreign child, and authored the book ‘“They Came to Stay” about her experience. The Mezvinskys took a number of refugee families into their home and arranged surgeries and adoptions for distressed children from abroad. Mezvinsky graduated from Stanford University in 2000, where he received a B.A. in religious studies and philosophy. He then attended Pembroke College, Oxford in 2002, where he received his MA in Politics, Philosophy and Economics. Mezvinsky first met Chelsea Clinton as a teenager at a 1993 Democratic political retreat in Hilton Head, South Carolina as Mezvinsky's parents and Chelsea Clinton's parents were friends in the 1990s. They were first reported to be a couple in 2005, and became engaged in 2009. In July 2010, Mezvinsky married Chelsea Clinton in an interfaith ceremony in Rhinebeck, New York. 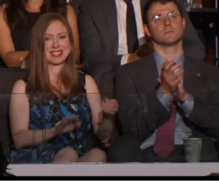 Clinton and Mezvinsky have a daughter, Charlotte, who was born on September 26, 2014, and a son, Aidan, who was born on June 18, 2016. On January 22, 2019, he and Clinton announced they were expecting a third child. Mezvinsky serves on the board of the Pembroke College Foundation and the Ann Romney Center for Neurologic Diseases, an organization dedicated to transforming the future of medicine through collaboration and patient-centered research. He also served on the Board of Madison Square Park Conservancy. After graduation, he worked at Goldman Sachs as an emerging markets foreign exchange strategist, and later went on to join the global macro proprietary trading desk. He served as senior partner at 3G Capital before leaving to start his own hedge fund, Eaglevale Partners, a traditional multi-strategy investment fund, focused on currencies, commodities and bonds. Eaglevale Partners closed in 2017 after suffering major losses. Mezvinsky joined Social Capital as Vice Chairman in 2017 where he helped the firm manage its business development and growing portfolio of companies. ^ "Pipl: Marc Margolies Mezvinsky". ^ "United States Public Records: Marc M Mezvinsky". ^ "Social Capital has hired Marc Mezvinsky as the investment firm morphs its business". Recode. May 18, 2017. Retrieved June 26, 2018. ^ "For Clintons, a Hedge Fund in the Family". The New York Times. The New York Times. March 22, 2015. Retrieved January 12, 2016. ^ a b Bocella, Kathy (July 30, 2010). "The quiet Main Liner who's marrying Chelsea Clinton". The Philadelphia Inquirer. Archived from the original on August 5, 2010. Retrieved August 11, 2010. ^ "Chelsea's Engagement: Heir A Parents". NPR. December 2, 2009. Retrieved June 26, 2018. ^ "10 Things You Should Know About Chelsea Clinton's Husband Marc Mezvinsky". Town & Country. October 12, 2016. Retrieved June 26, 2018. ^ "Needed: more than love and patience; They Came To Stay". The New York Times. February 29, 1976. Retrieved June 26, 2018. ^ "The Mother of All Candidates". Washington Post. October 28, 1992. Retrieved June 26, 2018. ^ "For Clintons, a Hedge Fund in the Family". New York Times. March 22, 2015. Retrieved June 26, 2018. ^ "Marc Mezvinsky". The North American Pembrokian. June 26, 2018. Retrieved June 26, 2018. ^ Baker, Peter (November 30, 2009). "Chelsea Clinton Announces Engagement". The New York Times. Retrieved August 5, 2010. ^ Seelye, Katherine Q.; Haughney, Christine (July 31, 2010). "Town Elbows Its Way Into Clinton Wedding". The New York Times. Retrieved December 18, 2013. ^ "New Mom Chelsea Clinton Celebrates Baby Daughter". The New York Times. via AP. September 27, 2014. Retrieved September 27, 2014. ^ McCarthy, Ellen (2016-06-18). "Chelsea Clinton gives birth to second child, son Aidan". The Washington Post. ISSN 0190-8286. Retrieved 2016-07-30. ^ Weisholtz, Drew (January 22, 2019). "Chelsea Clinton and husband expecting 3rd child: 'We cannot wait'". TODAY. Retrieved 23 January 2019. ^ "Trustees". The North American Pembrokian. June 26, 2018. Retrieved June 26, 2018. ^ "About The Ann Romney Center For Neurologic Diseases". Brigham and Women’s Hospital. June 26, 2018. Retrieved June 26, 2018. ^ "Revival Started at Madison Square Park". Wall Street Journal. July 13, 2012. Retrieved June 26, 2018. ^ a b "Marc Mezvinsky". Bloomberg S&P Global Market Intelligence. June 26, 2018. Retrieved June 26, 2018. ^ "HILLARY CLINTON'S SON-IN-LAW IS OUT OF A JOB". Vanityfair.com. Retrieved April 12, 2019. ^ "Chelsea Clinton's Husband Joins Silicon Valley Firm Social Capital". Bloomberg.com. 2017-05-19. Retrieved 2017-12-20. ^ "Chelsea Clinton's Husband Joins Silicon Valley Firm Social Capital". Bloomberg. May 18, 2017. Retrieved June 26, 2018. This page was last edited on 12 April 2019, at 18:28 (UTC).